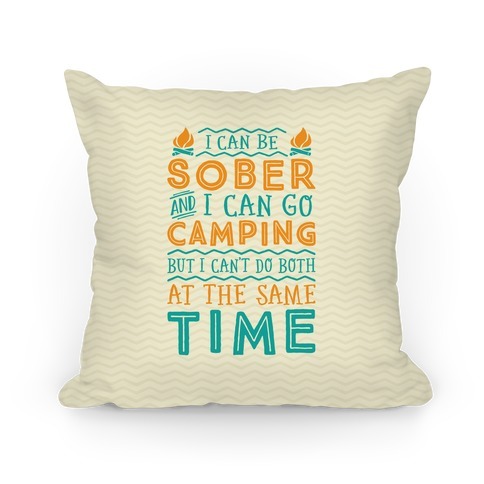 Browse our collection of 14 Camping Pillows and more. Designed and printed in the USA. 100% Satisfaction Guaranteed. About this Design This cute and colorful vintage-inspired camping blanket features a crackling camp fire and the words "happy camper" and is perfect for exploring the great outdoors, cuddling up in the winter, staying warm, climbing trees, visiting national parks, camping, pitching tents, starting camp fires, roasting marshmallows, making s'mores, hiking, rock climbing, or just sitting at school or work wishing you were outside! 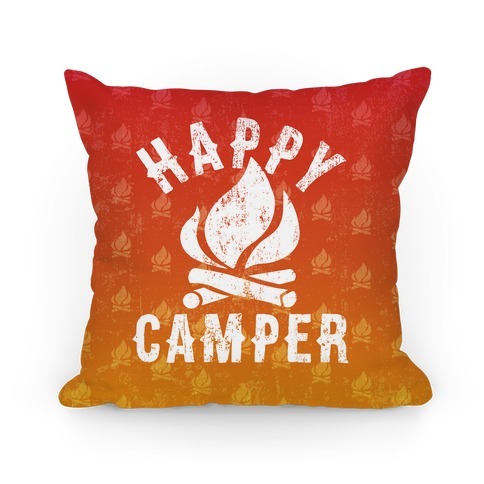 This cute and colorful vintage-inspired camping blanket features a crackling camp fire and the words "happy camper" and is perfect for exploring the great outdoors, cuddling up in the winter, staying warm, climbing trees, visiting national parks, camping, pitching tents, starting camp fires, roasting marshmallows, making s'mores, hiking, rock climbing, or just sitting at school or work wishing you were outside! About this Design Think about your next road trip and get lost and or drunk in strange places with this wanderlust definition pillow perfect for a cross country road trip, a trip to a new country, the mountains, the woods, new cities, making discoveries, having camp fires, eating new food, going to the beach, kayaking, experiencing the US from the road, and partying in remote places! 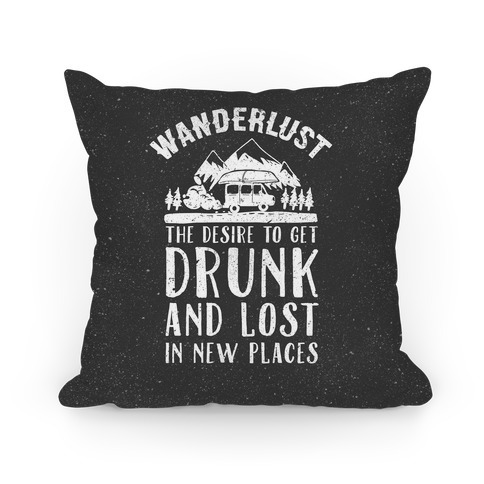 Think about your next road trip and get lost and or drunk in strange places with this wanderlust definition pillow perfect for a cross country road trip, a trip to a new country, the mountains, the woods, new cities, making discoveries, having camp fires, eating new food, going to the beach, kayaking, experiencing the US from the road, and partying in remote places! About this Design We all know camping is the best hobby there is, so build a campfire, roast some hot dogs and s'mores and pitch that tent! Because theres no peace found like the great outdoors under the stars and the trees. The perfect camping pattern with all the things you'd need for a perfect camping trip. We all know camping is the best hobby there is, so build a campfire, roast some hot dogs and s'mores and pitch that tent! Because theres no peace found like the great outdoors under the stars and the trees. The perfect camping pattern with all the things you'd need for a perfect camping trip. About this Design Keep your home woodsy with this nature & camping lovers green 'Camping Is Intents!' pillow! 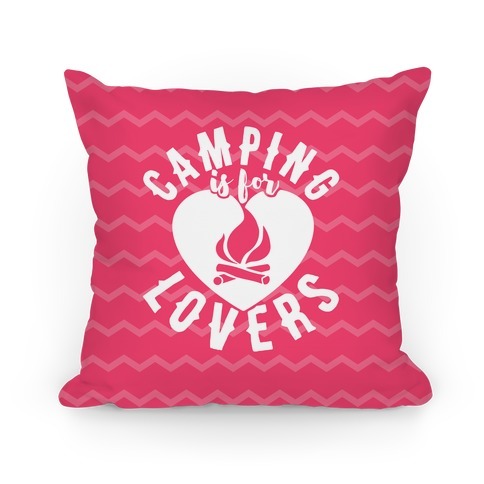 For lovers of camping, nature, and patterns alike. 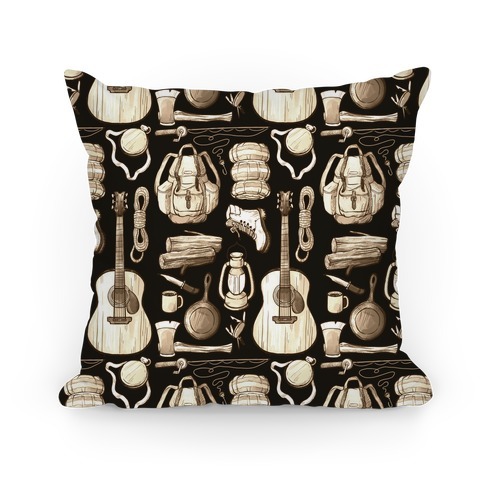 Goes great with our dark and light tree pattern pillows! 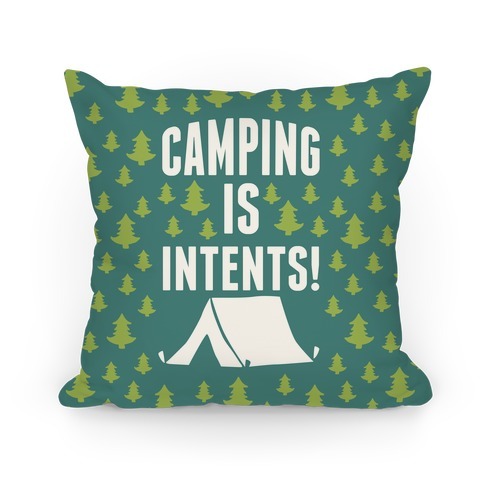 Keep your home woodsy with this nature & camping lovers green 'Camping Is Intents!' pillow! For lovers of camping, nature, and patterns alike. 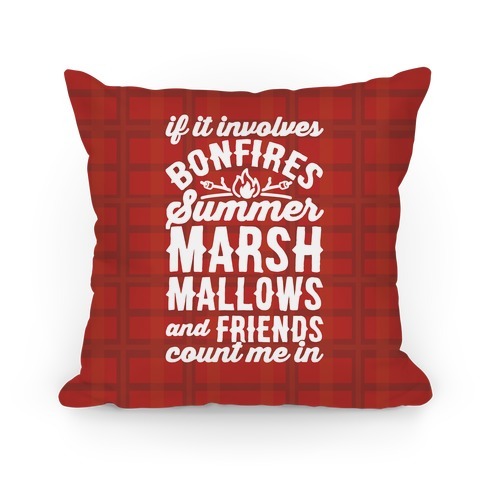 Goes great with our dark and light tree pattern pillows! About this Design This camping pillow features the seal of the campfire drinking society and is perfect for people who love camping shirts, camping, campfires, drinking by the fire, being outdoors in the fresh air, hiking, fishing, hunting, making s'mores, and is ideal for showing your love for camping and drinking! 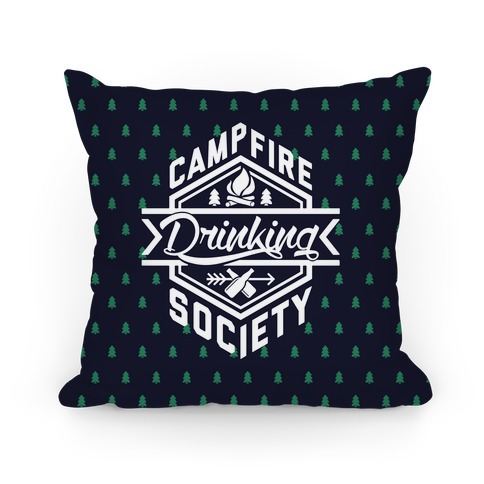 This camping pillow features the seal of the campfire drinking society and is perfect for people who love camping shirts, camping, campfires, drinking by the fire, being outdoors in the fresh air, hiking, fishing, hunting, making s'mores, and is ideal for showing your love for camping and drinking! About this Design This cute camping pillow features a crackling campfire amongst the pines and the phrase "life is better with a beer and a campfire" and is perfect for people who love camping, campfires, drinking beer, getting drunk, hanging out in the woods, sleeping in tents, hiking, enjoying nature, and showing the world that you'd love to give up the city life for the slow lane out in the woods! 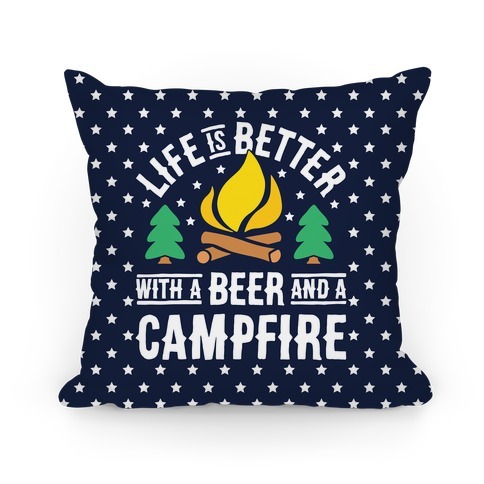 This cute camping pillow features a crackling campfire amongst the pines and the phrase "life is better with a beer and a campfire" and is perfect for people who love camping, campfires, drinking beer, getting drunk, hanging out in the woods, sleeping in tents, hiking, enjoying nature, and showing the world that you'd love to give up the city life for the slow lane out in the woods! About this Design This hiking pillow features the phrase "powered by MRE's and beer" and is perfect for people who love to go camping, hiking, drinking, enjoy the outdoors, eating MRE's, weekend warriors, hunting, exploring, eating bacon and eggs, cooking outside, grilling, climbing, drinking beer, and enjoying the beauty of nature! 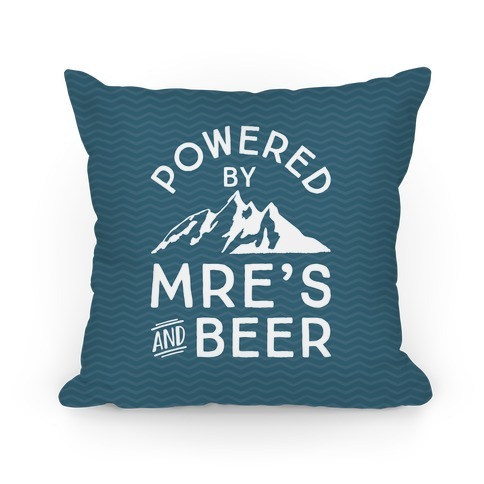 This hiking pillow features the phrase "powered by MRE's and beer" and is perfect for people who love to go camping, hiking, drinking, enjoy the outdoors, eating MRE's, weekend warriors, hunting, exploring, eating bacon and eggs, cooking outside, grilling, climbing, drinking beer, and enjoying the beauty of nature! About this Design This design features the phrase "If it involves mountains, breakfast food, coffee, or campfires, count me in" and is perfect for people who love to go camping, hiking, enjoy the outdoors, weekend warriors, hunting, exploring, eating bacon and eggs, cooking outside, grilling, climbing, drinking coffee, and enjoying the beauty of nature! 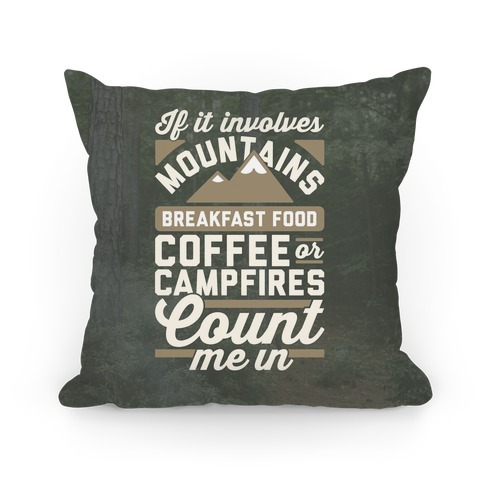 This design features the phrase "If it involves mountains, breakfast food, coffee, or campfires, count me in" and is perfect for people who love to go camping, hiking, enjoy the outdoors, weekend warriors, hunting, exploring, eating bacon and eggs, cooking outside, grilling, climbing, drinking coffee, and enjoying the beauty of nature! 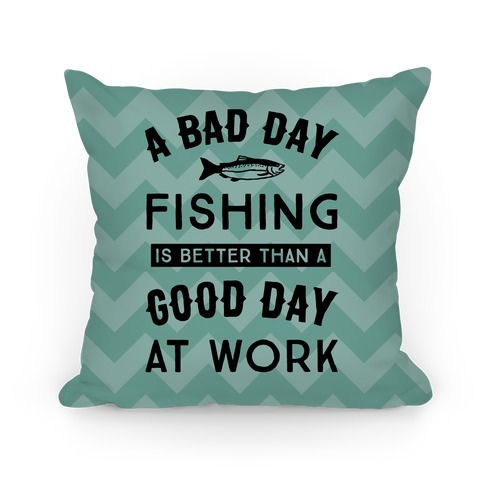 About this Design Fishin' is what life is about, and really a bad day at the lake fishing is better than any good day at your job. So, take a few days of vacation while the weather is still nice and get to the lake, pond, and kind of fishing hole you can get to. Forget work and lay back with a cold beer and wait for 'em to bite. Fishin' is what life is about, and really a bad day at the lake fishing is better than any good day at your job. So, take a few days of vacation while the weather is still nice and get to the lake, pond, and kind of fishing hole you can get to. Forget work and lay back with a cold beer and wait for 'em to bite. About this Design You ain't no American't, but you ain't just no American! You're an Ameri-DOES. 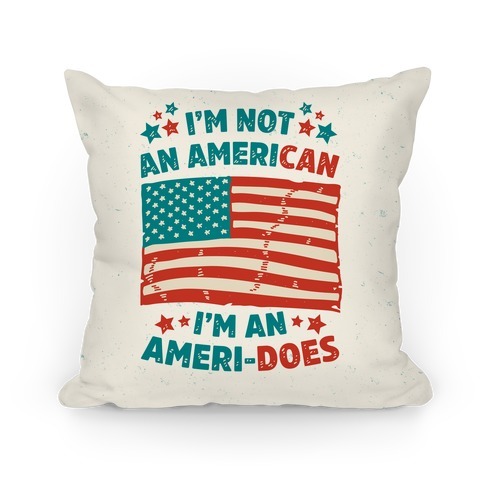 Show your love for the greatest country on earth with this American flag pillow perfect for showing your unyielding pride for the Red White and Blue, having a hotdog on the 4th of July, and doing you duty as an American to does what you do! You ain't no American't, but you ain't just no American! You're an Ameri-DOES. Show your love for the greatest country on earth with this American flag pillow perfect for showing your unyielding pride for the Red White and Blue, having a hotdog on the 4th of July, and doing you duty as an American to does what you do! About this Design If you're being protected at night it's because you're sleeping with a soldier. There isn't anything better than being an army wife or girlfriend. So, if you're man is graduating boot camp or has been in the Army for awhile this "Stay Safe! Sleep With A Soldier" pillow design is perfect to addition to your home to let everyone know that you are proud of your significant other. If you're being protected at night it's because you're sleeping with a soldier. There isn't anything better than being an army wife or girlfriend. So, if you're man is graduating boot camp or has been in the Army for awhile this "Stay Safe! Sleep With A Soldier" pillow design is perfect to addition to your home to let everyone know that you are proud of your significant other.